For the first time in 2017, a new event will celebrate our global community of players. The European Championships will be held at one of the biggest tabletop gaming conventions in the world, the UK Games Expo in Birmingham. All of our competitive Organized Play games will hold prestigious events at this prominent venue in front of thousands of fellow gamers. Players will travel from far and wide to compete for incredible prizes and eternal glory. To guarantee your participation in this presitgious event, make sure to get your UK Games Expo badge and event tickets now! Today, we'd like to give you a sneak peek at the preliminary designs of two prizes for each game's 2017 European Championship: a participation prize, and the prize for the Top 32 players of each event. We will also reveal how the Top 4 players' path to the World Championships unfolds. In the coming weeks, we will also show you the North American Championship versions of these prizes for Gen Con, along with the incredible remainder of each game's new prizes for each Championship! 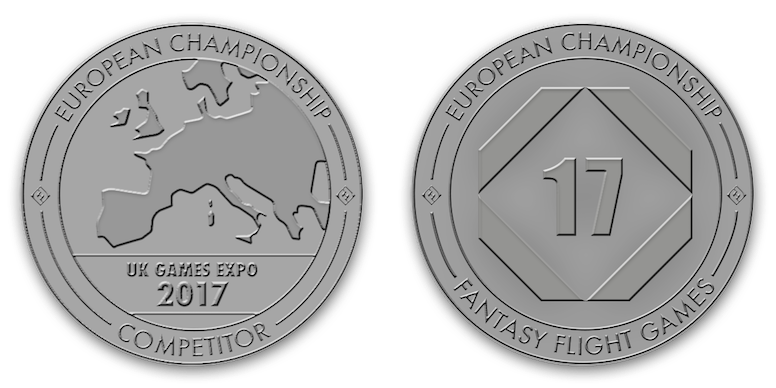 Every player in each of the Championship events will receive a commemorative challenge coin featuring Europe in stunning relief. These heavy and substansial 1.5-inch metal challenge coins are an impressive way to prove that you attended the very first European Championship. However, this is not the only participation prize; check back to our website regularly for our next prize announcement to see what else you will receive! 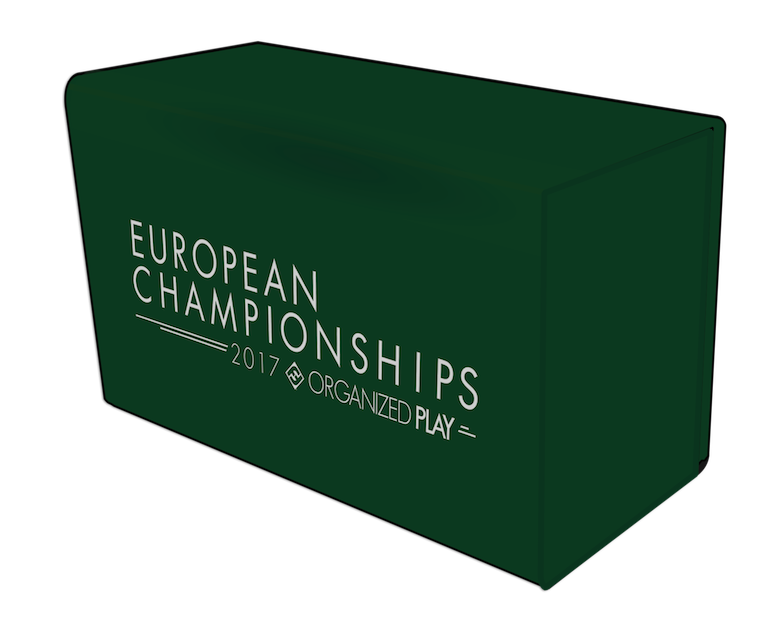 Players who crack the Top 32 in the final standings of each game's European Championship will receive a prize that many of you may have coveted from last year's World Championship: a premium deckbox featuring a metallic stamp. This high quality and functional deckbox has three lined compartments: two large and one small. It is perfect for holding any combination of tokens, dice, cards, and other small accessories that you need to compete. It even has a magnetic closure, unfolds for easy access to all three compartments, and folds up securely for transportation to your next tournament. Pulling your cards out of this deckbox is sure to show your future opponents that you are one of the best. There are many other prizes for each game's competitors at different levels of performance, but there are certainly prime rewards for those who finish in the Top 4 of each European Championship. In addition to all of the fantastic prizes they win along the way, each member of the Top 4 wins a free reserved seat for the next World Championship for their game! If any Top 4 players already earned a free reserved seat for that game's World Championship, it will pass down to the next highest-finishing player in their tournament. For the finalists in each game's European Championship, they will also receive a bye at the next World Championship for their game. This unpaired win for the first round is a significant advantage at Worlds previously enjoyed only by National champions. But now, those who advance to the final match of each Championship at UK Games Expo will be among the elite who get to rest easy while other World Championship competitors fight to claim victory in the first round. This prize does not pass down and cannot be deferred, so be prepared to use your advantage at the next World Championship! In addition, the runner-up wins a commemorative plaque to decorate a favorite wall and forever enshrine their outstanding performance. Finally, each game's European champions will receive an incredible travel package to ensure that they can compete at the next World Championship for their game. 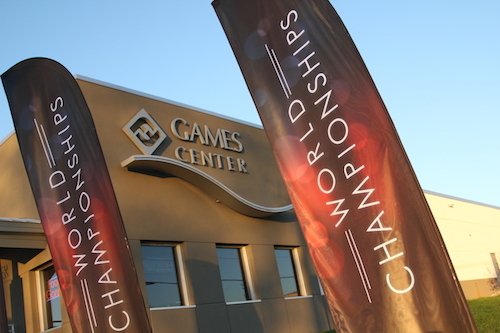 This package includes an additional free reserved seat for that game's next World Championship, an entire hotel room for their use during the next World Championship, and flight or other travel expenses covered for the Champion to attend. While Worlds is definitely a great place to make new friends among fellow players, making the trek to Roseville can be even better with company. This travel package cannot be transferred or deferred, so we definitely look forward to seeing you and a friend taking the next World Championship by storm! 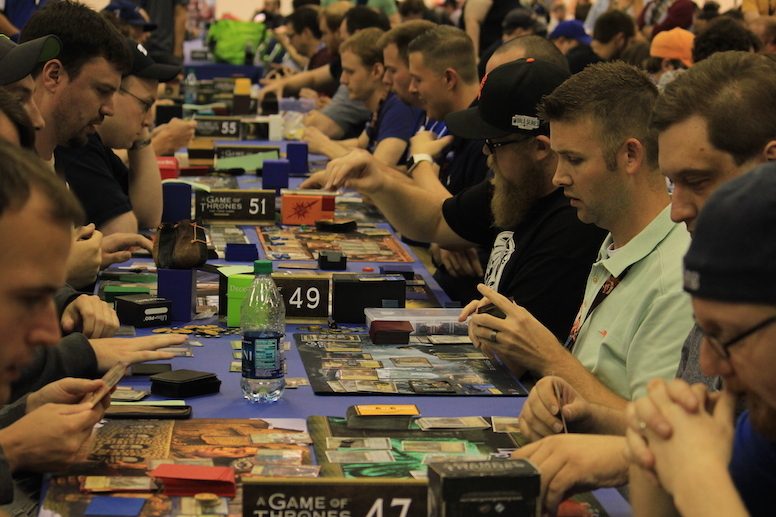 In addition, the winner of each game's European Championship has the opportunity to inspire Fantasy Flight Games staff and upcoming elements for their game. The champions for miniatures games will each collaborate with Organized Play staff to create the concept for an upcoming piece of alternate art for a favorite card in their game, while card game champions will provide developers with inspiration for a new card for their game. A unique new trophy will also serve to remind everyone who sees it of the grand feat you accomplished! All of that, and we haven't even shown you the spectacular alternate art cards, tokens, and more for each of our competitive Organized Play games! The European and North American Championships each have new and unique prizes for competitors, including an additional participation prize and multiple other levels of prizes to win through tournament performance. We are very excited to show you each of these fantastic prizes in a few weeks' time. Bookmark the Organized Play webpage, and sign up for our FFG OP Community Newsletter to be the first to know when they are revealed! 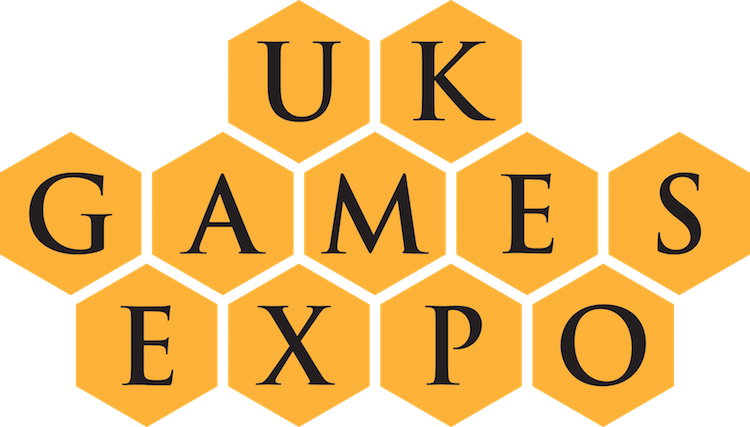 We look forward to seeing you at the first ever European Championships at the UK Games Expo, Birmingham, UK, June 2nd through 4th!